…really not a combination of colours I’d normally attempt. Some of you ladies are like ‘pfff, what’s the big deal?’. And quite rightly… I’m just an unimaginative wimp to be fair. 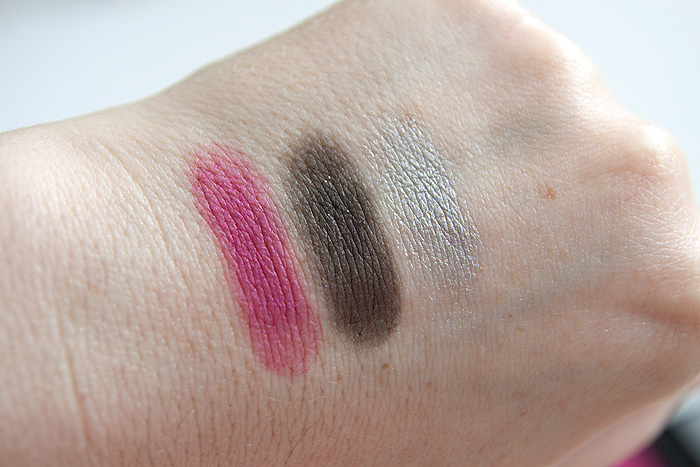 I think I would have preferred the flash of pink on my lids… just a peek when I looked down. I fear I’ve gone a bit retro-futuristic weird with this one. Still, truth be told, I’m not sure my application skills are up to the job of keeping a vibrant pop on my lid without muddying the crap out of it. It’s my favourite too – I love wearing these colours together. I think it looks really nice on you to be honest. The small amount of pink is enough to see it, but not to dominate the look! The blending in your outer corner looks fab. And I have to know what you used to get such skinny tightlines! Please tell. Nothing to do with the shadows, but your complexion looks milky and beautiful. What lippie are you wearing? It’s lovely! That’s a beautiful palette and I love the look you created with it! You look great! I might be coming over all 14-year-old-at-the-school-disco but that silver is amazeballs! I think I might have to get some of these from eBa(nkruptc)y. Love the look on you! The palette looks great, I really wish these were easier to get hold of over here though! This is awesome! Go you for wearing pink under the lower lashline – I think it looks awesome! I definitely like what you did with the “crease” shade on the edges. Your application skills are far superior to my own! Very pretty~ I would have gone with the pink on the eyelid but I think under the eye looks really awsome. 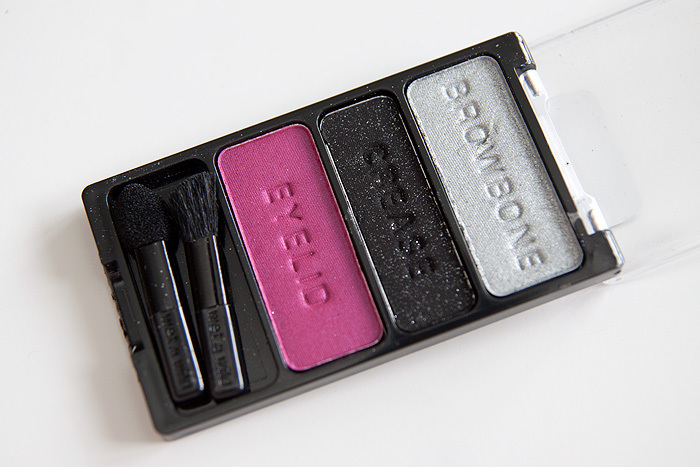 I prefer pink and gold together, pink is one of my favorite eyeshadow colors, but it looks lovely with the silver. I also like how you only did a bit of black at the side. 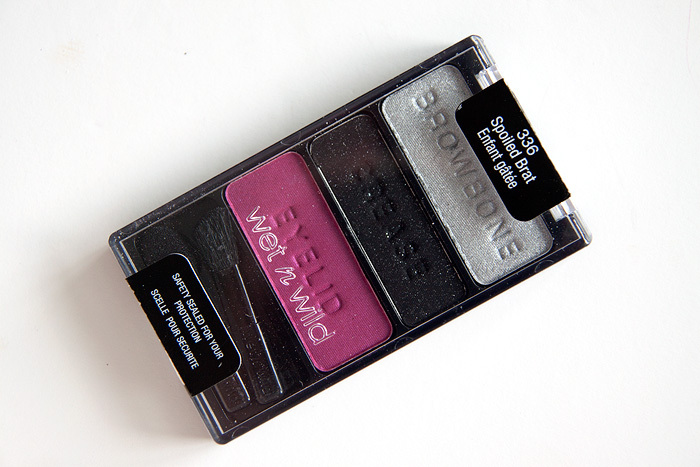 I’ve never really looked into buying wet n wild stuff, when i was younger it was always horrible, but I’m interested in trying some out now. That looks a lot better than what I would have done with it… knowing me I would’ve messed up the pink and black so bad on my lids it would end up looking like a big bruise or something. Thanks lady, that’s appreciated! How strange about the different names though?! That’s a very pretty look! Love the pink on the lower lid. And the. Silver on the upper lid is so well blended. Love that on you! It’s a fun look. Far prefer it your way, although I’m not sure this could be a look for everyday! I genuinely love what you’ve done with this- it looks fantastic on you!! Wordless Wednesday. Except it's Thursday. Speckled foil easter egg nails! theBalm's Cindy-Lou Manizer, the perfect highlighter for cool-toned girls?